For 35 years, the Your Future Group Travel.com and Personalized Services International Travel Agency has been telling the stories behind the world’s most extraordinary destinations and providing travel services to clients across the USA going to locations around the world. 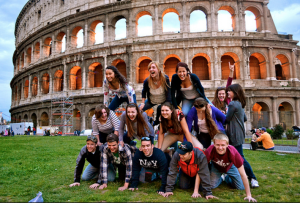 We know the importance of higher education for our future leaders, so we decided to bring live in living color the experience of student studies of language, art and history via our Student Discoveries Travel Program. Our vacations are 100% influenced by educators and can be easily tailored to any classroom curriculum. By enhancing standard curricula, our packages provide in-depth topic explorations and bring to life educational moments in a profound way. We work direct with our tour providers to ensure our clients receive the best experience and top-notch customer service at very competitive prices. Fundraising is a great way to make your trip more affordable. Not only does it teach innovation, organization, and cooperation, it also places more value on the experience as it gives students a sense of pride. We allow your school to place an additional markup on the fundraising travel to increase their profits to raising money for school computers, future trips, the band, and supplies. Travel Referral Donation Program, It’s FREE – All Year Around! Experience is a great teacher. Travel has the power to open young minds, unlock possibilities, and unveil understanding where the classroom just can’t. Students learn more and faster when they are immersed into the culture of another country. It is nothing live traveling the world and learning at the same time. On Student Discoveries travel programs, students are excited every day of the trip, they ask more questions, and are more engaged in the overall learning process. There are no limits on what we can plan for your next school student immersion learning. We can book student travel to locations all over the world, so do not let a location stop you from booking your next vacation. Thanks to the our company and our tour providers tremendous buying power, you get unmatched value when it comes to hotels, excursions, and even your group’s air price. Teachers will not get the same value with booking student tours with other companies or by booking these tour if they made all the arrangement on their own. DID WE MENTION OUR COMPANY’s DONATION PROGRAM IS FREE! We are the only company that will donation a portion of what we make back to the school. It is our mission to help the educational institutions that travel with our company or refer clients to our company.